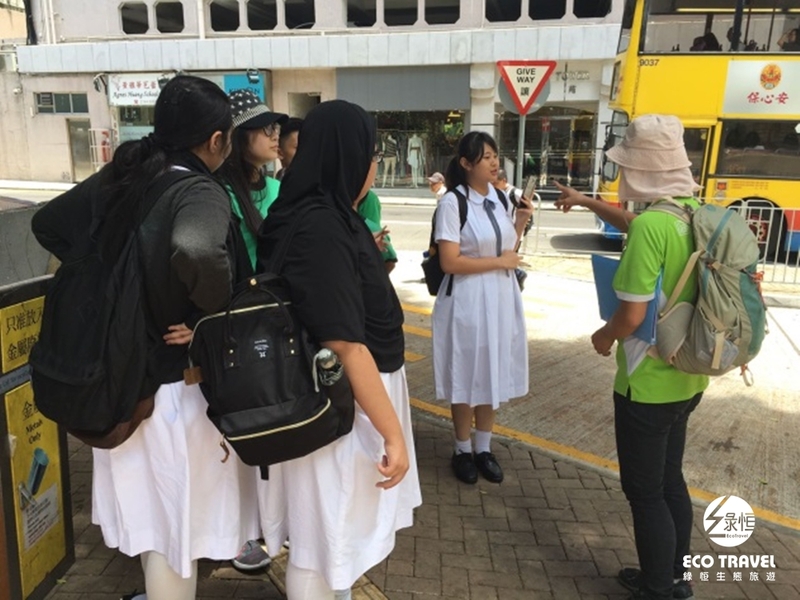 It is a sunny afternoon on 7 June, a perfect day for a group of international school students to join a tour about Hong Kong History. 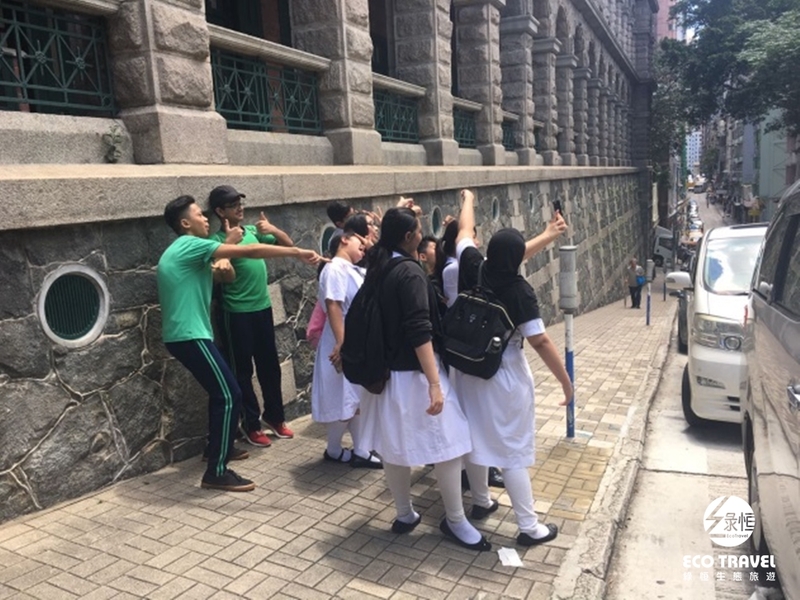 The students are mostly non-local and their teachers decided to have a tour for exploring some untold Hong Kong history. 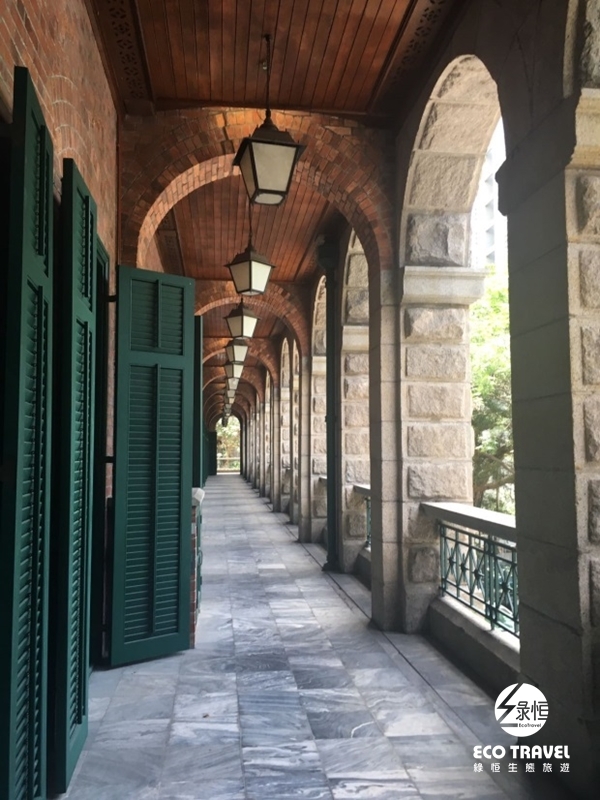 The tour, A Glimpse of Traditional Central, designed by Eco Travel introduces the medical history of Chinese residents during the colonial Hong Kong, which is seldom mentioned in the textbook and therefore matches with the aims of the teachers. 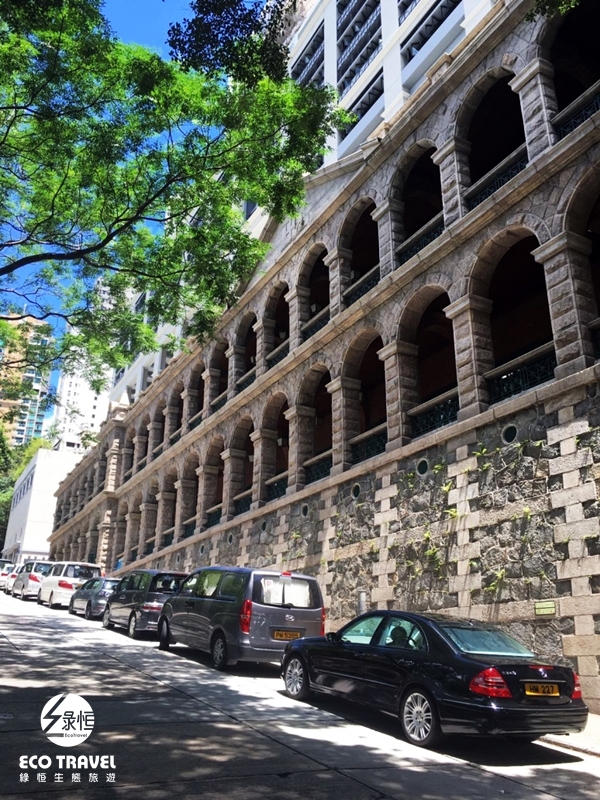 We walk along the High street and visit the symbolic building there: Sai Ying Pun Community Complex, which was the Old Mental Hospital in the past. In 1892, the building was originally used as a nurse quarters for the Civil Hospital and occupied by the Japanese soldiers during World War II.After World War II, it is used as a mental hospital for female patient. Because of the legend history, it is known as a famous “ghost house” in Hong Kong. Students show their huge enthusiasm about the tales and take a lot of interesting photos. 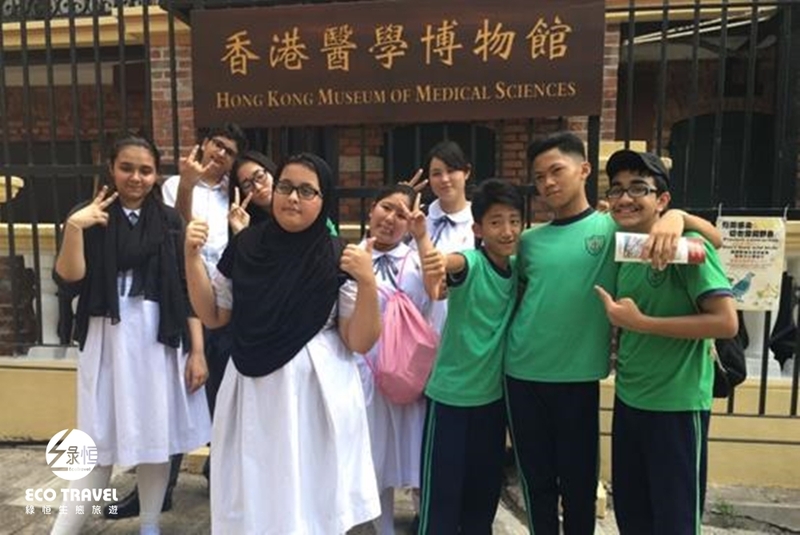 Afterwards, we visited Tung Wah Hospital and Hong Kong Museum of Medical Sciences. Both of them are precious cultural and historical buildings. The Museum of Medical Sciences is constructed with red bricks, which is designed in the combination of both western and Chinese style. Our tour guide introduces the background and details with patience and students enjoy the tour and participanting in asking questions. I believed that the experience could contribute a lot to their future studies! 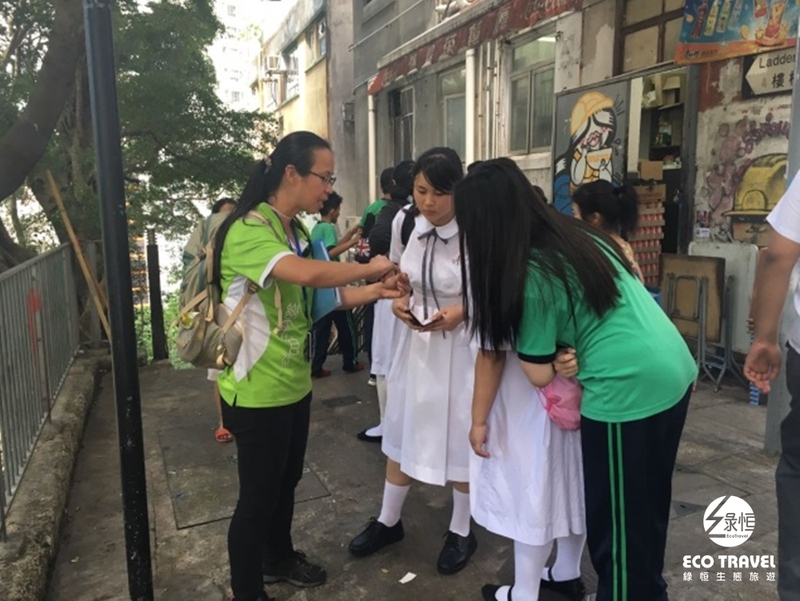 In the tour, the students can learn more about the Chinese medical history during the colonial era by walking through the famous historical buildings. 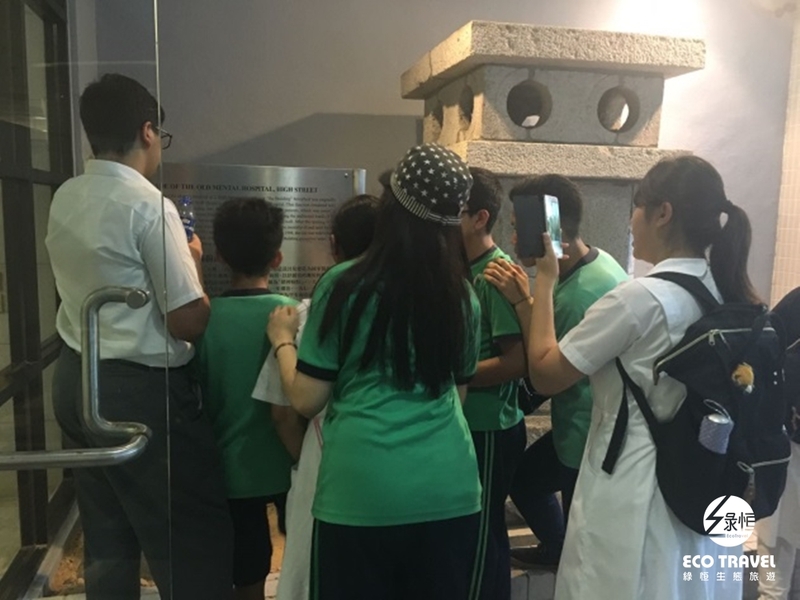 The combination of history and the historical buildings could be a new way of study since the arena deepened the students’ memories of the history. Copyright © 2019 ECO Travel Limited All Rights Reserved.